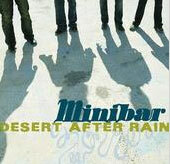 Belly Up to the Minibar: The first time I saw Minibar, I was stunned by their soaring harmonies, exquisite melodies and profoundly moving lyrics. The British quartet has become a staple in my rowdy life, and I never miss a show. Road Movies, two years ago, and I am thrilled to tell you they have just released their sophomore effort, Fly Below the Radar. So, do yourself a fat favor and pick it up! Minibar's brilliant singer-songwriter, Simon Petty, came by my pad last night, and we wound up chatting about the state of music. "Joe Public is completely underestimated by the entire entertainment industry," Petty says. "Everybody loves a good pop rush that's easy to digest, but a lot of people went to see The Pianist as well as Daddy Day Care." Petty's lyrics always hit the heart spot, and they spill secrets but keep you wondering. I ask if he's aware when an amazing song comes through him. "Honestly, you have to believe it's gonna be really good and expressive whilst you're writing it. In the end, I imagine playing it to somebody, and if I burst into tears halfway through, then I've got a good one." I relate to Petty in a huge way, because he's a gigantic music fan, and we always wind up sharing magical music stories. "Music is the only thing that really makes sense, isn't it? It's completely transcendent and benign. It's something that can change your life and absolve you and make you feel things you wouldn't otherwise. And it doesn't hurt you. If it's bad music, it's just annoying. Good music enriches everything you do, think, feel and say. Besides, I can't do anything else!"